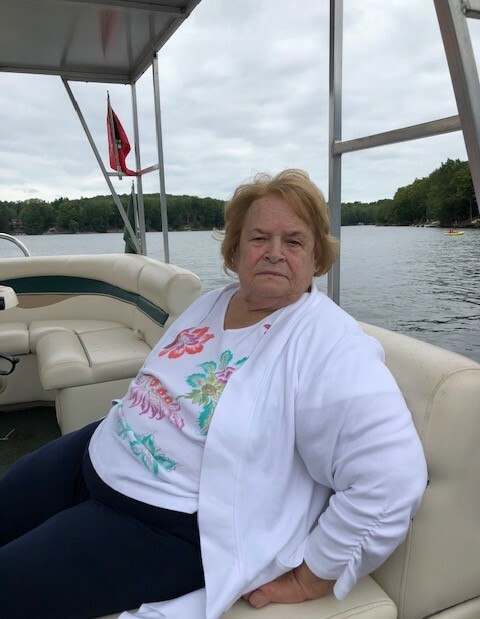 Ellen Bock (nee: Donovan), 77, of Monroe Township, formerly of Bayonne, passed away on Tuesday, January 15, 2019, at Penn Medical Center in Plainsboro, NJ, surrounded by her loving family. Born in Jersey City, she resided most of her life in Bayonne before settling in Monroe Township 4 years ago. Prior to her retirement she was a mail carrier for the United States Postal Service, Jersey City for 25 years. Throughout the years Ellen displayed warmth and kindness towards others and was recognized for her generosity and support to various charities. Her many favorite pastimes included: traveling, gardening, trips to Atlantic City, playing bocce ball at the Bayonne First Street courts, and bowling on multiple leagues at the Hudson Lanes. Ellen was predeceased by her beloved husband Thomas Bock (BFD) in 2017; her son John Baginski; and parents, Frank and Jean (Joswick) Spiotto. Left to cherish her memory are her two daughters Christine Ashley and husband Doug (William); and Lisa Matlosz and husband Ron; three stepsons, Thomas Bock and wife Denise; Christopher Bock and his significant other Bonnie; and David Bock; her brother Frank Spiotto and wife Tina; and eight grandchildren, Daniel Wieczezak, Tyler and Kyle Matlosz Lauren, Alexandra, Devin, Deanna, and Madison Bock. A visitation will be held at the Dworzanski & Son Funeral Home on Friday, January 18, from 3:30 to 7:30 pm. A funeral mass in Ellen’s honor will be offered on Saturday, January 19, 2019 at 10:00 am from the St. John Paul II Parish of Our Lady of Mt. Carmel Church. Entombment will follow at Holy Cross Chapel Mausoleum, North Arlington, NJ.